Keep your samples safe with these tubes. 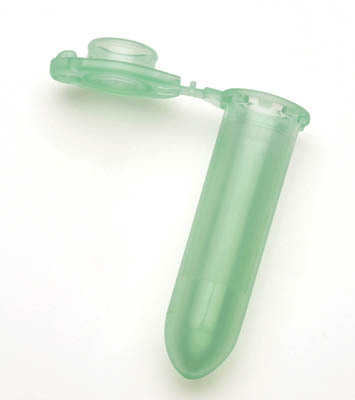 Polypropylene Eppendorf™ Safe-Lock Tubes feature exceptional centrifugation stability up to 30,000 × g prevents sample loss due to tube breakage and provide extra safety when working with hazardous samples. The hinged Eppendorf Safe–Lock lid provides outstanding protection against unintentional opening during incubation and storage. Polypropylene provides high resistance to chemicals, mechanical stress and temperature extremes. Manufactured without the use of slip agents, plasticizers and biocides – substances that have been shown to leach from plastic consumables into the sample and negatively affect bio-assay results.